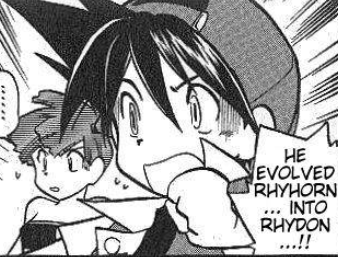 What did Team Rocket use to evolve Rhyhorn? 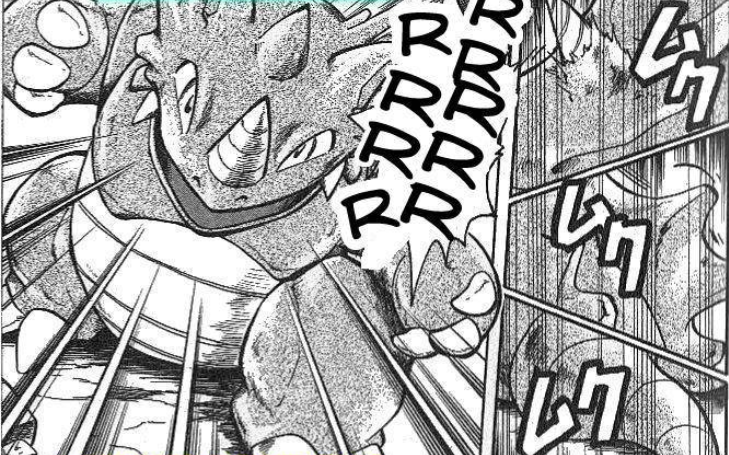 I didn't understand how it would be possible to make Rhyhorn to evolve like this, because Rhyhorn is not the kind of Pokemon that could be evolved by stones. So what did Team rocket use? Does this item appear again in the manga and did someone explain it better? Or does it even exist in the TV series? No reliable site lists what that syringe is (or could be) and it never appeared again. Misty asumes that an other of these syringes was used to evolve a gyarados (seen earlier). Team Rocket tried to create ways to force an evolution (like the experiments at the lake of rage), so it's most likely another experiment to force the evolution of a pokémon and to make it stronger. How come Abra was able to evolve in episode 22? How does Nincada evolve into Shedinja? Where does Team Rocket get all of their vehicles and machines? Why is Team Rocket's motto “To Protect the World from Devastation”? 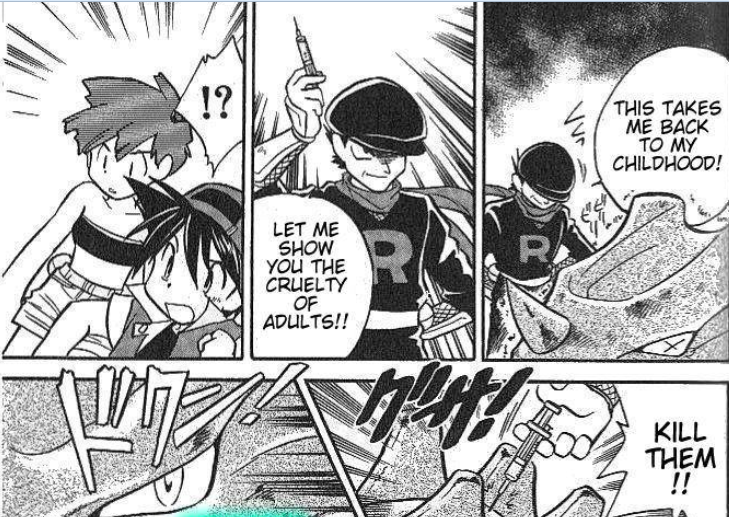 Why are Ash and his friends fooled by team rocket again and again? How can Mewtwo Mega Evolve? How do Pokemon Mega Evolve by themselves?